Congratulations! 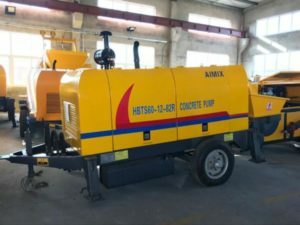 Our Aimix Group smoothly exported our HBTS60R diesel concrete trailer pump to Zamboanga, Philippines. As we all know, Zamboanga is a port city. 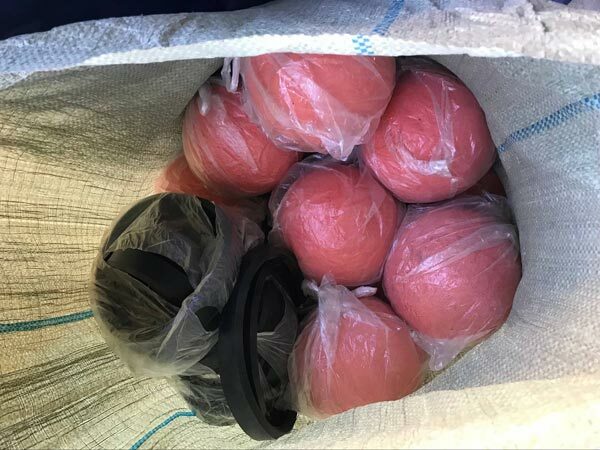 This is more convenient to transport different products. 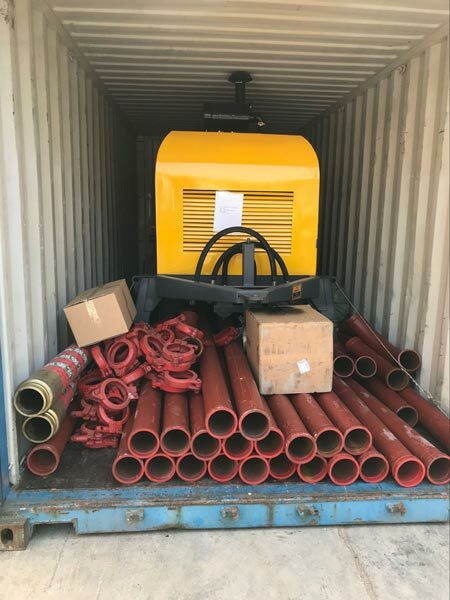 After communication with us, this customer decided to purchase the concrete trailer pump from our company. Our production team produce every machine with a strict standard, ensuring that our customers can get our machine in a good condition. Our customer got the HBTS60R diesel concrete trailer pump on time and there is no delay in the construction time. 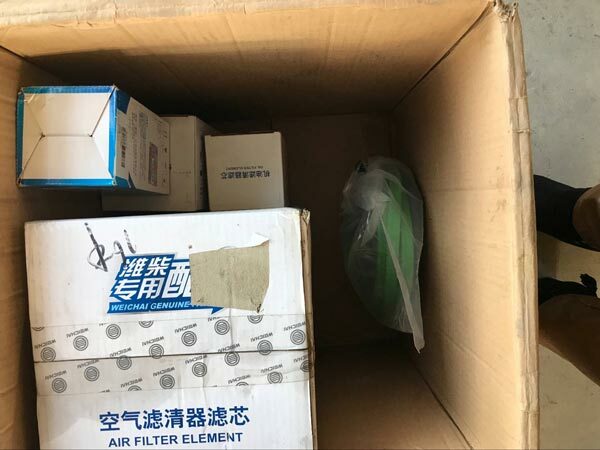 Here are some pictures about delivery. 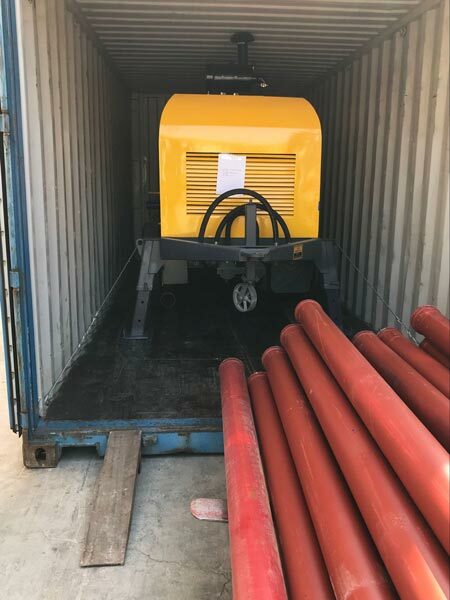 According to the driven power, we produce two types of concrete trailer pump for your selection, diesel engine pump and electric engine pump. 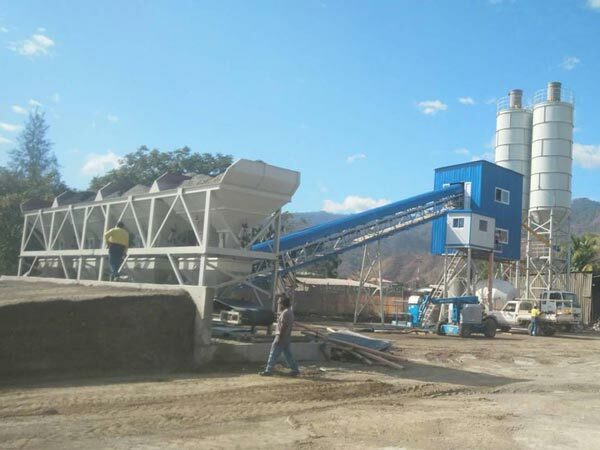 The criterion for selecting these two concrete pumps is whether the construction site has sufficient power. 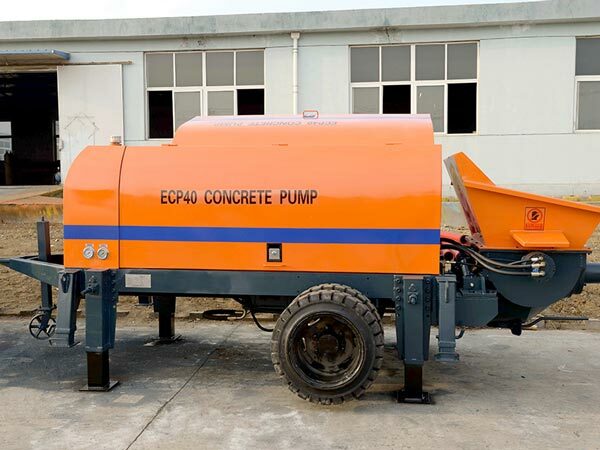 If yes, you can purchase electric engine pump. On the contrary, diesel engine concrete pump is suitable for you. 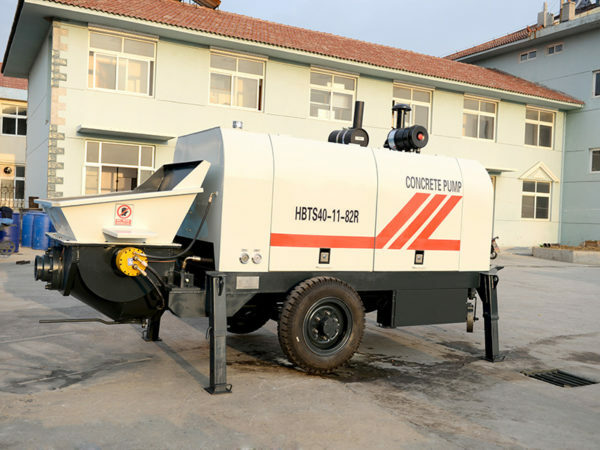 Our HBT series concrete trailer pumps all have the features of high pumping efficiency, stable performance, easy operation and lone service life. 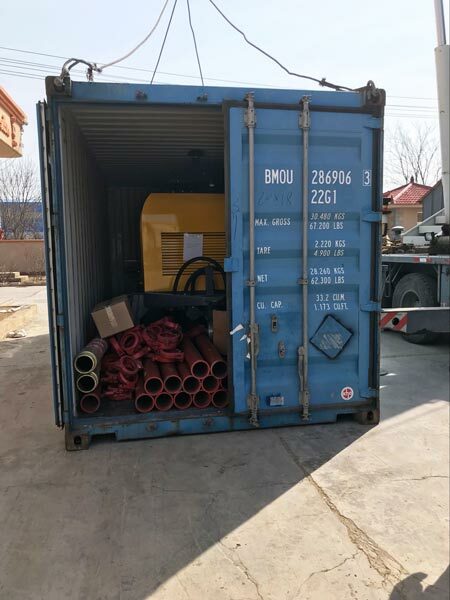 If you want to get a good diesel concrete trailer pump, welcome to choose our company!